Passion and servanthood are foundational attributes of those that work for our organization. Have you ever been charged with abusing a child? I understand that while I am employed at Hanging Rock Christian Assembly I am not to use alcohol or tobacco. We believe the Bible is the inspired Word of God. We confess Jesus Christ, the one and only Son of the living God, as our Lord and Savior. We are obedient to His command to be baptized by immersion for the forgiveness of sin and to receive the gift of the Holy Spirit. We live with hope through Jesus’ resurrection from the dead and ascension into heaven trusting in His promise to live in eternal glory with God. age while working at Hanging Rock. 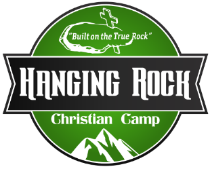 Further, I give Hanging Rock permission to use photo and video taken at camp in promotional materials.